Pertaining to what is God incarnate, and what is the essence of God incarnate, it can be said as the mystery of the truth that we believers of the Lord fail to understand. For thousands of years, despite believers knew that the Lord Jesus was the incarnation of God, no one could understand what God incarnate and His essence are respectively. 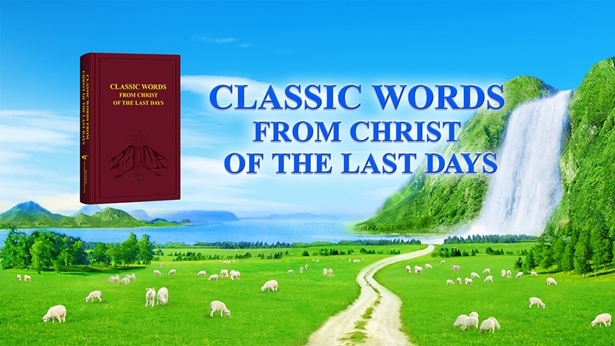 It was only until the advent of Almighty God in the last days that this mystery of the truth was unfolded to mankind. The incarnation is God’s Spirit clothed in flesh, that is, God’s Spirit is materialized in the flesh with normal humanity and normal human thinking, and thereby becomes an ordinary and normal person working and speaking among men. This flesh has normal humanity, but also has complete divinity. Though in outward appearance His flesh seems ordinary and normal, He is able to take on God’s work, can express God’s voice, and guide and save humanity. This is because He has complete divinity. Complete divinity means that all that God’s Spirit possesses—the inherent disposition of God, God’s holy and righteous substance, all that God has and is, God’s almightiness and wisdom, and God’s authority and power—these have all been materialized in the flesh. This flesh is Christ, is the practical God who is here on earth to do work and save mankind. From His outward appearance, Christ is an ordinary and normal Son of man, but He is substantively different from us created human beings. Created man has only humanity, he doesn’t have even the slightest trace of divine substance. Christ, however, not only has normal humanity; more importantly, He has complete divinity. So, He has God’s substance, He can represent God entirely, express all truths as God Himself, express God’s disposition and all that God has and is, and endow us with the truth, the way, and the life. No created man is capable of such feats. Christ works and speaks, expresses God’s disposition, and all that God has and is in His flesh. No matter how He expresses God’s word and does God’s work, He always does so within normal humanity. He has a normal flesh, there is nothing supernatural about Him. This proves that God has come into the flesh, He has already become an ordinary human. This ordinary and normal flesh has fulfilled the fact of “The Word Appears in the Flesh.” He is the practical God incarnate. Because Christ has complete divinity, He can represent God, express the truth, and save mankind. Because Christ has complete divinity, He can express God’s word directly, not just relay or pass on God’s word. He can express the truth anytime and anyplace, supplying, watering, and shepherding man, guiding all of mankind. Only because Christ has complete divinity, is it enough to prove that He possesses God’s identity and substance. That’s why we say that He is God’s incarnation, the practical God Himself. We clearly see that God incarnate must have normal humanity, otherwise, He would not be God’s incarnation. In outward appearance, the incarnate God looks like an ordinary and normal man, and there is nothing supernatural about His humanity. So, if we measure Christ using our conceptions and imaginings, we will never acknowledge or accept Christ. At most we’ll just acknowledge that He is a prophet sent by God, or one whom God uses. If we want to really know Christ, we must study His words and work to see if that which He expresses is God’s own voice, if the words He expresses are manifestations of God’s disposition and all that God has and is, and see if His work and the truth that He expresses can save mankind. Only then can we know, accept, and obey Christ. If we do not seek the truth, do not investigate God’s work, even if we hear Christ’s words and see the facts of Christ’s work, we will still not know Christ. Even if we are with Christ from morning till night, we’ll still treat Him like an ordinary man and will thus resist and condemn Christ. Actually, to acknowledge and accept Christ, all we need to do is recognize God’s voice and acknowledge that He does God’s work. But to know Christ’s divine substance and thereby achieve true obedience to Christ and love the practical God, we must discover the truth within Christ’s words and work, see God’s disposition and all that God has and is, see God’s holy substance, almightiness, and wisdom, see that God is lovely and appreciate His earnest intentions. Only in this way can we truly obey Christ and worship the practical God in our heart. Previous：Question 1: You bear witness that God has become flesh and become the Son of man to do the work of judgment in the last days, but many religious pastors and elders have determined that when the Lord returns He will descend on a cloud. This is primarily according to these scriptures: “This same Jesus, which is taken up from you into heaven, shall so come in like manner as you have seen him go into heaven” (Act 1:11). “Behold, he comes with clouds; and every eye shall see him” (Rev 1:7). In addition, religious pastors and elders have also taught us that any Lord Jesus who does not descend on a cloud is false and should be rejected. We don’t know if this concept is in line with the Bible or not. Is this actually a correct understanding? Next：Question 3: Why has God been incarnated in the last days, becoming the Son of man to do the work of judgment? What is the real difference between the spiritual body of the Lord Jesus being resurrected from death and the Son of man incarnate? This is an issue we don’t understand—please share fellowship on this.